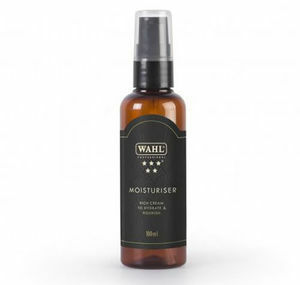 Enriched moisturiser leaves skin feeling soft and smooth. 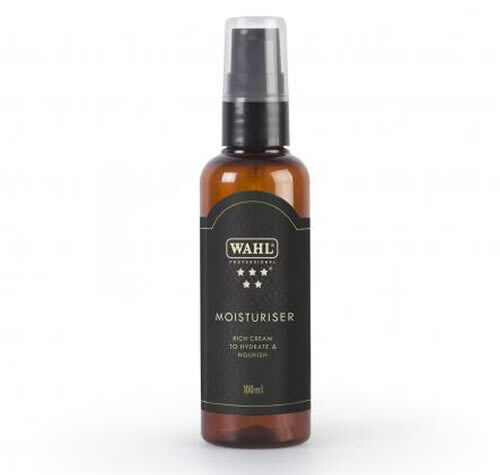 Wahl's 5 Star Moisturiser is a non-greasy product that's formulated to soothe and hydrate all skin types. It's been enriched with white nettle and black mulberry, known for their anti-inflammatory and healing properties. Simply massage over the face and neck to help replenish lost moisture. It's part of a great post-shave procedure that will leave your clients feeling pampered and refreshed. £8.99 (inc. VAT) Why no VAT? We're a trade wholesaler and quote our prices without VAT to help our VAT-registered customers understand the true cost of a purchase. An exciting, exotic and spicy aftershave that leaves the skin feeling refreshed and invigorated. A wonderful, high quality handmade brush that boasts 100% boar hair and a firmness that lifts hair for a closer cut.